Our new Battle Zone Jousting game brings gladiator jousting to the next level. Our Battle Zone Inflatable is a super challenging inflatable beam with a professional stunt jumping bag under the players for a super soft landing. 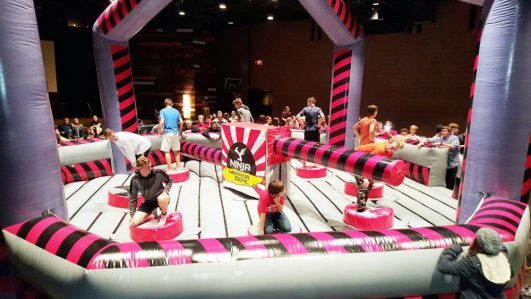 Players enter from both sides and battle against each other on the giant inflatable beam. 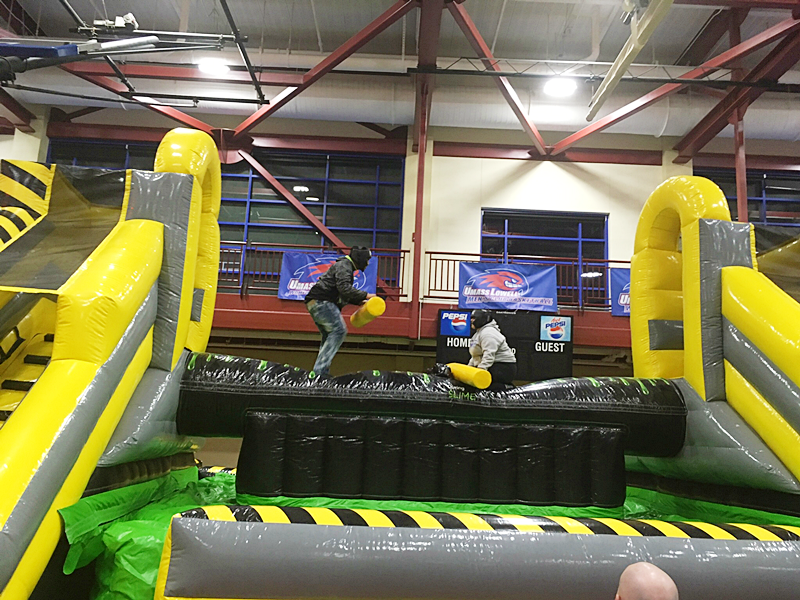 Our battle Zone Inflatable is perfect for teens, adults, and kids over 7 years old. 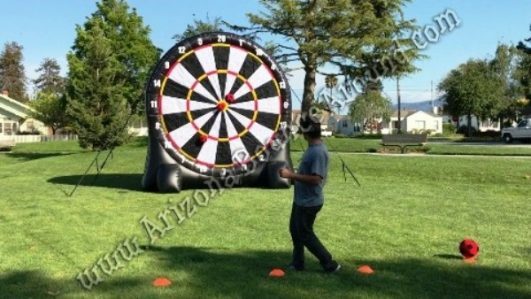 The Battle Zone will be a big hit at any Graduation party, birthday parties, company parties, team building events and competition-related events. Call today to book!